Anne Hathaway’s dedication to realism in the film Les Miserables was hair-raising, according to co-star Hugh Jackman. 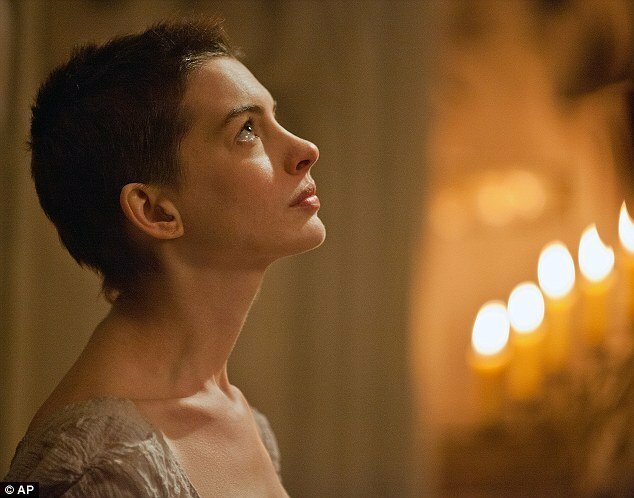 Anne Hathaway plays Fantine in the movie adaptation of the hit musical and brought in her own hairdresser for the emotional scene where her character becomes destitute and has her long hair chopped off. He revealed the hairdresser is also featured. “He had to wear a dress to pretend to be a woman. Meanwhile ten-year-old Les Miserables star Isabelle Allen is treasuring a special gift from Hugh Jackman. “He sent me a glass plaque – it was yellow to match my room,’ said an excited Isabelle, who plays young Cosette.